Sapphire & diamond ring made in 1910. Product code: 975 Categories: Sold Items, Sold Rings. Antique rings such as these are just wonderful. 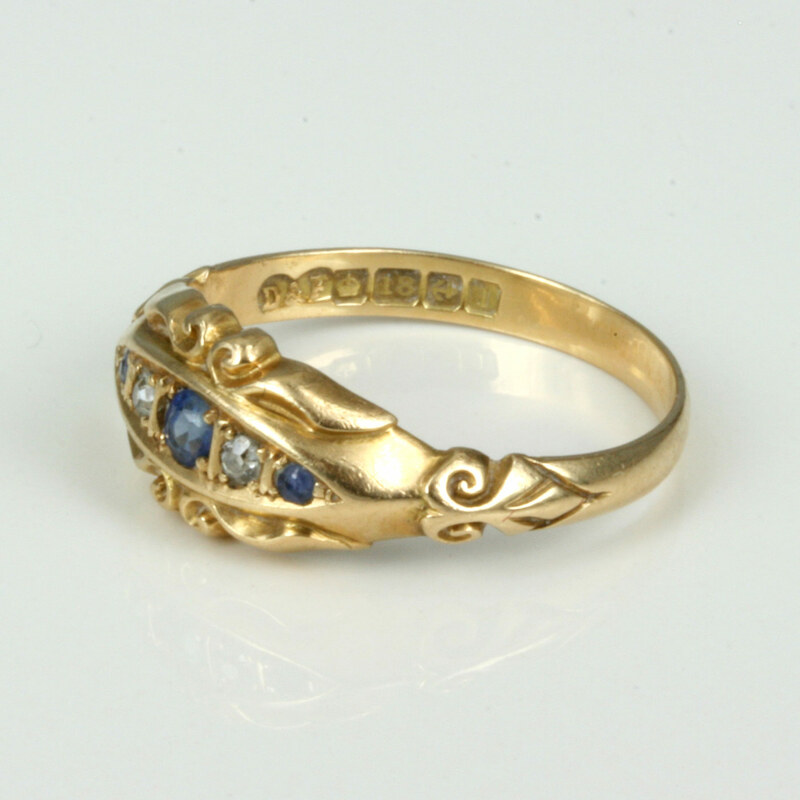 A great way to continue a collection of antique rings or a great place to start one, as this is a ring made in 18ct gold and set with 3 sapphires and 2 diamonds and hallmarked for being made in Birmingham 1910 is priced less than $1,000 and will be admired when it is worn. With sweet detail in the ring, and all natural stones, the ring itself sits flat on the finger and can so easily be worn every day. 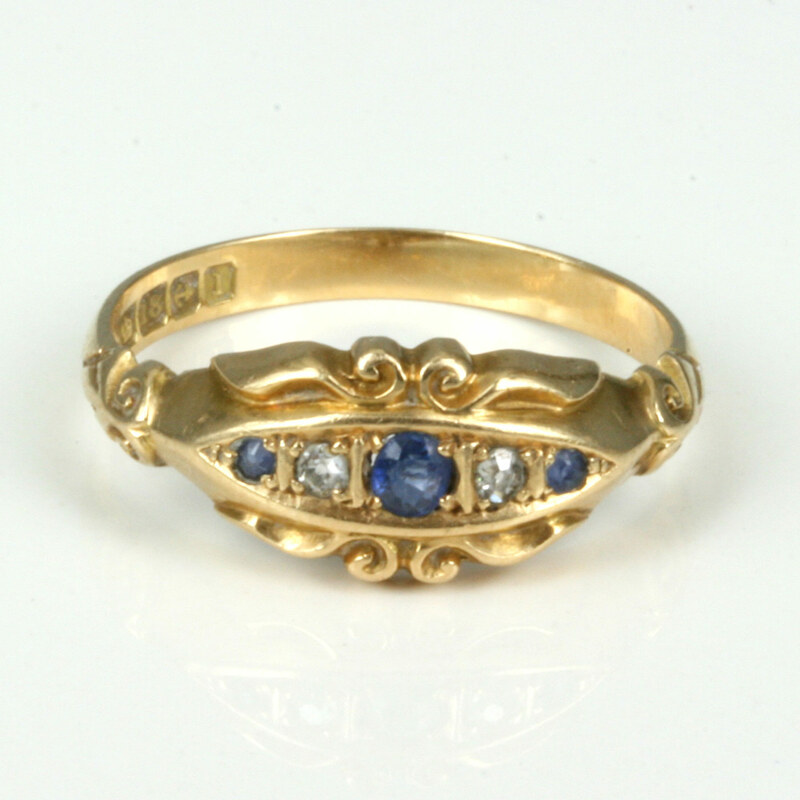 A great example of an antique sapphire and diamond ring from the Edwardian era.